Life Insurance Ownership Is At 50 Year Lows. Don’t Get Caught Without It! According to a study by Limra.org, life insurance ownership is at 50 year lows with only 44% of U.S. households having any life insurance coverage. In fact, people have more cars, TV's and smartphones than they do live insurance. Please don't be one of those statistics. Children and spouses can be devastated when the bread winner of the family passes away. They can suddenly be plunged into a world of destitution and lose almost everything they own because they no longer have a source of income to pay the bills and prepare for the future. A sad aspect of life is that everyone must, at some point, pass on from this world and leave those they love behind. There are measures a person can take to help ease the transition for their family by making sure they have a life insurance policy they will provide funds for the family to live on and pay current and future costs. Term life insurance is relatively inexpensive and there are several types of policies available to provide coverage and other benefits. When evaluating all your life insurance options, getting an affordable term policy is the most popular. The policies usually last for a set period of time. The periods usually last for 5, 10, 15, 20 or 30 years. The monthly premium and death benefit are fixed until the policy expires. One should choose carefully the length of time they want coverage. When the term period ends the policy also stops. In order to extend coverage a person will often have to go through the whole application process again. There are cases where a person’s health has declined and is no longer eligible to obtain a new policy and can no longer get the coverage they might need to protect their family. A basic rule of thumb is to have a policy that lasts long enough for dependents to grow up and become independent. Getting life insurance without an exam is becoming much more common place in the insurance market. Basically, this allows you to get a fully underwritten policy without having to take the typical life insurance physical that many are accustomed to. If you need life insurance in a hurry or are deathly afraid of needles, then these type of policies make a lot sense. If you're not in a rush to get your policy, then sticky to a traditional term policy makes the most sense as these policies will typically cost a bit more. Also, please don't think that these policies will not look over your medical records, because they do. After you complete a short telephone interview, they will be able to verify your information by cross referencing what is on your MIB record. These policies will refund the premiums paid if the person being covered lives until the term policy period ends. For instance, if one purchases a 20 year policy and pays $30.00 per month for this coverage, they will have paid $10,800 in premium payments during the lifetime of the policy. With a return of premium policy at the end of 20 years, this money is returned to the policy holder. This can be an alternative savings vehicle for people. They can have the coverage they need while raising their families, but can receive a lump sum payment later in life to use for other things once that coverage is no longer needed. These policies are useful for young people who want a whole life policy, but really can’t afford the cost right now. They can get a term life policy that will allow them to convert it to a whole life policy regardless of their health conditions, or having to undergo a medical examination, when the term life policy ends. Whole life lasts for the lifetime of a person provided they make their premium payments. These policies are usually bought to cover a specific debt or financial obligation that decreases as one pays off the debt. A common reason people purchase these policies is to cover their mortgage. The amount a person owes a lender is decreased each time they make their monthly payment and one will not need as much money to pay off the loan as time passes. These policies are normally more affordable than the other options since the death benefit decreases each year. Life insurance is designed to protect loved ones after one passes away. There are numerous options available to address most situations where coverage is needed to keep a family financially stable if the unexpected happens. 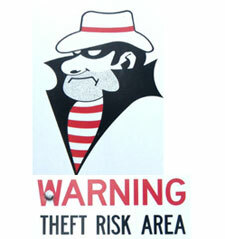 Approximately 15 million people a year are victims of identity scams. The financial toll from these victimizations is near $50 billion. Identity theft is a growing epidemic around the world, and people need to learn how to protect themselves before they become victims without even knowing it. CBS published an article about a retired Connecticut US Army soldier named John Harrison. A few years prior to his retirement a man named Jerry Wayne Phillips stole his military I.D. and went on a shopping spree. He shopped at major home repair stores, bought high ticket electronics and even purchased new cars. Over 65 different accounts were created in Harrison’s name. Within just four months Phillips had run up a tab of around $265,000 under Harrison’s name. Today Harrison still has $140,000 in debt he cannot clear which prevents him from personal purchasing, borrowing, and even opening a checking account. As overwhelming as it may seem, there are some simple things you can do to protect yourself from identity theft. One thing you can do is to put a fraud alert or credit freeze on your credit cards with all three major credit bureaus. There are three different types of fraud alerts that can be used to warn your creditors of potential crimes against your identity. With a credit freeze you can control who can have access to your credit report and when, which allows you to block potential thieves from gaining access to it. You can contact the 3 credit agencies to put a freeze on your account at the numbers or websites below. You can also ask to add a victim’s statement to each of your credit bureau reports asking creditors to call you personally to verify all credit applications made in your name. Another smart thing you can do is to work with professional services like LexisNexis identity management. They have the tools, staff, and expertise to work with credit services and watch your accounts. They also help by preventing fraudulent payments, and work with government agencies to reduce abuse. Identity theft insurance is also now available to help with prevention and protection for consumers. Because these are fairly new services however, it is warned that customers take the time to make sure the insurance being offered will appropriately cover the type of loss you may have as a customer. You may also want to check with your existing insurance agencies as they may already have some kind of policy in place as a part of your current agreement. I.D. was stolen by a drug dealer with a record. Pulled over, handcuffed by police. Lost his part-time and full-time jobs for not having disclosed a criminal record (which wasn’t his). Denied unemployment because of criminal record. His driver’s license was suspended for not paying fines (racked up by thief). Loaned niece his car- she was pulled over and questioned. Arrested at his home and jailed for 2 days. Identity theft is a crime that can cripple you for life. It can have a ripple affect with your finances and personal identification that can cause you endless problems. Take the time and make sure your take some of these simple steps to protect yourself and your I.D. Have you ever had to deal with identity theft? Tell us about it in the comments! What Sort Of Liability Coverage Do You Have On Your Rental Car? When I travel, I try to avoid actually renting a car. I either road trip it, or I try to stay somewhere near public transportation. However, there have been times when renting a car has been the best option. When you do rent a car, though, you need to be careful of the liability coverage involved. In some cases, the rental car company offers auto insurance on the cars. Some companies, like the Hertz on Demand program, offer free liability coverage. However, it's important to realize that this doesn't mean you have the coverage you need. 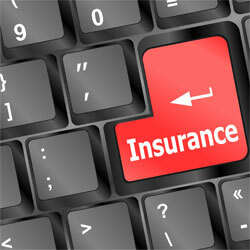 Many free liability program only offer the state minimum on liability coverage. So, you might only be covered for a relatively small amount, like $25,000 or $50,000. Of course, you could also pay the fee for extra coverage on the rental car. Most rental companies will sell you coverage for a flat daily rate. However, it can get a bit pricey in some cases. You'll want to see what others offer before you decide to take the rental company's liability coverage. Many people don't realize that their credit cards might actually come with rental car insurance coverage. A number of credit cards offer free liability coverage for rental cars. This can be a real help for you when it comes to making sure you are protected when you drive a rental car. Once again, you need to double check the coverage limits. You are likely, though, to receive good coverage. In order to make sure that your coverage is activated, you will need to pay the rental fee with the credit card in question. Additionally, you will need to sign the insurance waiver offered by the rental car company. When you don't get coverage through the rental company, you need to sign a document indicating that you are declining the rental car company's coverage. You might already have rental car liability coverage through your current auto policy, and not even realize it. Contact your insurer to find out what the limits are, as well as the terms for coverage. You can also find out about an umbrella policy that can help shield you from liability issues associated with your rental car experience. 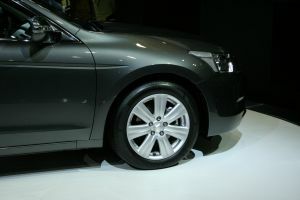 It's also possible to get what is known as a nonowner liability policy. This can allow you to have insurance when you rent a car. Check the rates for the level of coverage you want. If you frequently rent cars, it might be more cost efficient to get this separate coverage. Review your options, as well as how often you use rental cars. You want to be able to get the best coverage for your money, and ensure that you have enough coverage to pay for issues that arise if you get in a wreck with your rental car. When you have a home insurance policy, you often assume that you are covered for damage to your home. And, while this is the case for many situations, the truth of the matter is that you might actually be missing out on some coverage. Indeed, there are some rather costly gaps in many home insurance policies. Floods: Most of the time, you have to buy flood insurance if you want to be protected. Floodsmart.gov offers you a way to check to see if you need flood insurance. Realize, though, that even if you don't live in a flood zone, you might still want coverage — especially if you are afraid of some freak natural circumstance. Earthquakes: There are a number of homeowners policies that don't cover earthquake damage. If your home has been damaged in an earthquake, you could find yourself bearing the brunt of the cost. Mudslides: If something happens and your home is damaged by mudslide, you probably can't expect your home insurance policy to cover the costs. If you live on a hill, or your home is built on the side of a mountain, you need to be aware of the possibilities that can come with rain runoff. Tornado: Don't assume that your home is covered in the event of a tornado. Otherwise, you might be unpleasantly surprised. If you live in areas that are prone to extreme weather, you need to make sure you are properly covered. Chances are that your homeowners policy won't cover those types of damages. You might need to purchase extra coverage — or purchase a separate policy. You should also find out whether or not the policy covers home business activities. Many policies won't cover damage possessions that you use for home business purposes, or pay out liability claims if someone is injured on your property while coming to conduct business. There are some policies that will protect up to a certain amount, but it is usually less than what your homeowners policy generally covers. If you are running a home business, you'll want to double check the terms of your policy so that you know whether you need to add more coverage for your home business. Realize, too, that you might not have adequate coverage for the items inside your home. Often, insurance companies cap what they will pay out on possessions. Additionally, you might find that insurers adjust the payout due to depreciation. Also, you should understand that you might not be covered for the total cost to rebuild. Some homeowners, who have had their homes for a long time, find that their houses have gained in value — but they haven't upped the coverage. Go through your coverage and determine whether or not you need to increase the amount. Otherwise, you might find yourself paying out more than you expected. Have you ever had a catastrophe only to realize you didn't have enough coverage? Get A Quote On The Homeowner's Insurance Coverage You Need! Life insurance isn't always something that I've thought very seriously about. Before I became more serious about my finances it was kind of an afterthought, especially when I was in my 20's and I didn't have a care in the world. I was single, no kids and nobody depending on me except myself. I really didn't think there was much of a reason for me to be buying life insurance when I wasn't married or didn't have kids. It was just like flushing money down the toilet, right? The thing is, even if you're young and healthy there may be quite a few good reasons for you to buy good term life insurance. It isn't just for old people, you know! So today I thought I would examine a question that a lot of people are probably asking today as they read all of these life insurance posts. Do you really need to have life insurance if you're young, unmarried and have no dependents? The answer to that question is a resounding.. maybe. There are some pretty good reasons to consider getting life insurance, even while you're young. Typically most Americans will wait to buy insurance until they're a little bit older. At that point they've had years to get into bad eating habits, smoking, drinking and a whole host of other issues that can greatly affect their health. Having those health issues on your resume isn't going to be a good thing when it comes time to get life insurance, in fact, in some cases it will disqualify you from getting coverage at all! At the very least it will mean your premiums will be greatly increased to the point where it may be hard to afford a policy. Instead of waiting until you're middle aged to get life insurance, why not buy it when you're young and healthy and in the prime of your life! The rates will be much cheaper, and you won't have to worry about being denied because of health issues. Another reason to consider getting insurance even when you're young is that the premiums are just so cheap. When I bought my insurance recently I was able to buy a good term life insurance policy of $500,000 for right around $30/month. That policy could have been even cheaper if I hadn't waited so long myself – I could have stood to lose a few pounds. Rates have been dropping over the years, with standard risk term life insurance policies dropping 50% from 1994 to 2008. Statistics prove that people are living longer, healthier lives due to the advances in medical care. This means that the need to charge high rates is simply unnecessary because the risk is much lower. So rates are falling and you can get a decent amount of coverage for the cost of one meal out at your favorite restaurant. What's stopping you? Do You Really Need It If Single? Guarantee insurability: You never know when you'll have a health issue pop up, or whether or not you'll have an accident or some other issue that keeps you from getting life insurance later. Better rates: If you're buying when you're younger and healthier, than your rates will most likely be better. You have debt: If you have a large amount of debt to pay off, you may want to have a bit of life insurance to pay that off if you die – especially if there are co-signers on your debts. The very least you can do even if you're reasonably sure that you don't want or need to get insurance – is to get a quote. Getting quotes on life insurance is easy in this day and age, just fill out a form or two and get quotes from a bunch of different companies. You can even do it through this site on our life insurance page. Check it out! One of the most common recurring costs in your life is likely to be insurance. From auto insurance, to health insurance, to home insurance, you pay every month to protect your assets. While many people acknowledge the importance of insurance, no one likes to premiums. 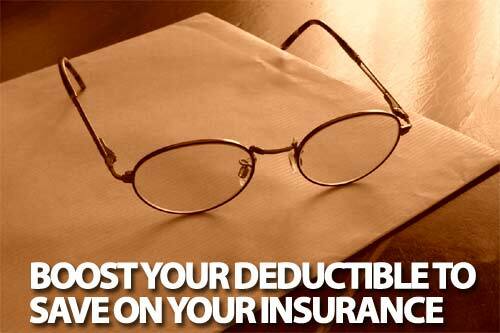 If you want to reduce your costs, one of the best ways to do so is to boost your deductible. Your deductible is the amount of money you pay out of pocket before the insurance actually kicks in to cover costs. The higher your deductible, the lower your premium, since the insurance company won't have to pay as much of your cost for an incident. Boost your deductible, and you will find that your monthly cost drops. I reduced my health insurance premium by half, just by boosting my deductible by a few thousand dollars. The more you are willing to pay out of your own pocket, the lower your premium will be — and the more you can save each month. Do You Have the Money for a Higher Deductible? Another issue you run into is that you might not have the money for a higher deductible. My deductible on my health insurance is $7,500 right now. What if you have a $20,000 deductible on your house? Yes, you'll save on premiums. But what if you have an incident, and you have to come up with that money? If you are going to raise your deductible, you need to have that money available, just in case. This means that you need to create an emergency fund. Indeed, if you want the capital to meet your deductible obligations, you really do need to build a good emergency fund. If your auto insurance policy has a $5,000 deductible, you need at least $5,000 in your emergency fund. I use my Health Savings Account as a sort of emergency fund to cover my out of pocket health expenses. There are limits to how much you can contribute each year, but you can eventually build up what you need, and supplement further with a different emergency fund. Without an emergency fund, you can actually end up in financial trouble when something happens and you need to pay out of pocket. Before you decide to increase your deductible, it's a good idea to get a solid start on building an emergency fund. That way, you will have the cash you need to pay out of pocket without breaking the bank. You don't need to have a complete emergency fund to start, but you need to have a plan. One way to improve your ability to build your emergency fund is to bank the savings. I started an emergency fund, and then raised my deductible by a little bit more. I banked the savings as part of the emergency fund. Then, I raised the deductible a little bit more, and banked the savings. You are still paying the same each month, but you get to keep more of the money, since it is going in your bank account, rather to the insurance company.